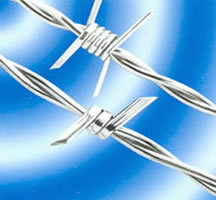 We would like to introduce ourselves as the pioneer manufacturers and exporters of wire nails making machinery, bolts making machinery, barbed wire making machinery, wire drawing machine, paper pins making machinery, gem clips making machinery, shutter making machinery, stapple pins making machinery, u-bolt bending machine, roofing sheets making machinery, roofing bolts making machinery, fencing stapples making machine, shoe tacks making machinery, horseshoe nails making machinery, wood/ machine screws making machinery, u- nails making machinery, umbrella head/ roofing nails making machinery and various kinds of horse shoe nails based in amritsar in India. Our machines and plants are installed at home and abroad have acclaimed a very high name for the smooth and sturdy running, best workmanship since we use malleable graded casting, bronze bushes, high class steel and are manufactured under the strict instructions of our qualified technical staff. We had already exported our machines to Middle East (Kuwait, Oman, Egypt, U.A.E. ), Africa (algeria, Botswana, Gambia, Ghana, Kenya,ivory Coast, Libya, Malawi, Nigeria, South Africa, Tanzania, Uganda, Zambia, Zimbabwe), Argentina, Bangladesh, Brazil, China, Ecuador, Mexico, Nepal, Scotland, Spain, Sri Lanka, Turkey etc.